Jerusalem-Israeli Prime Minister Benjamin Netanyahu said that he would discuss Iranian ambitions in neighbouring Syria when he meets Sunday evening with US national security advisor John Bolton in Jerusalem. Bolton arrived in Israel on Saturday night for talks on the future of Syria in the wake of President Donald Trump´s decision to withdraw all US forces there. "I will discuss with him efforts to stop Iranian aggression in our region, the situation in Syria, following President Trump´s decision, and the continuation of the conversation I held with President Putin on Friday," Netanyahu said at the start of a cabinet meeting. The phone call with Putin was the first between the leaders since Trump´s surprise statement that he was pulling all 2,000 troops from Syria, declaring that the United States had achieved its objective as the Islamic State group had been "knocked" out. Netanyahu´s office said he and Putin "discussed the situation in Syria and recent developments and agreed on continued coordination between the (Israeli and Russian) militaries". "Our position is clear," Netanyahu said on Sunday. "We continue at this time to act against the Iranian military buildup in Syria, and we are acting against anyone who undermines or tries to undermine Israel´s security." Israel has carried out hundreds of air strikes in neighbouring Syria against what it says are Iranian military targets and deliveries of advanced weapons to Hezbollah, which is backed by Tehran. Israeli public radio said that Sunday evening´s meeting would also include Washington´s concerns over Chinese commercial and technological activity in the Jewish state. 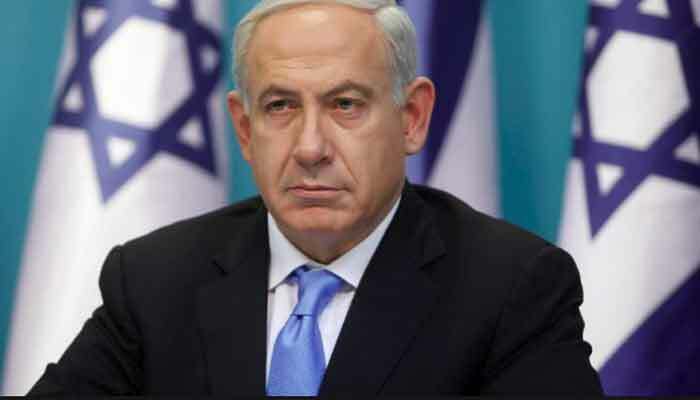 Netanyahu has been delighted by Trump´s hard line on Israel´s main enemy Iran and the landmark move of the US embassy in Israel to Jerusalem, but the pullout from Syria has caused concern.